The 5th project face to face meeting has taken place in Cáceres (Spain). The first version of the PICCOLO prototype was set up at CCMIJU, facilities at the end of 2018, and it has been a great chance to show it to the PICCOLO consortium members. During these two days of the meeting, the technical partners presented both the individual components of the prototype (MPT and OCT) and the integration of the same in the probe of the multi-photonic system. The attendants have been able to check in-situ the performance of the prototype in the operating rooms of CCMIJU. 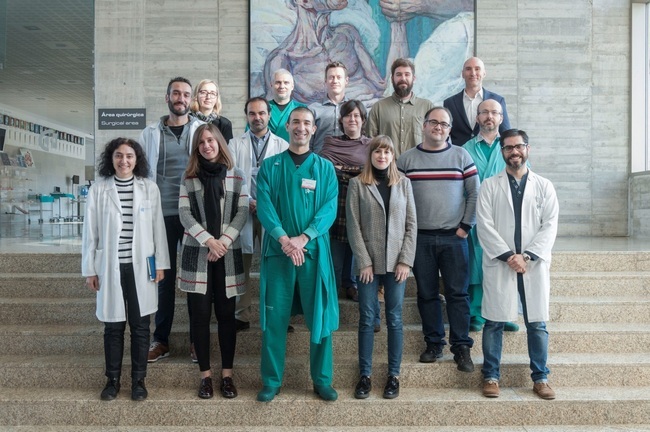 Based on this, and in close collaboration with clinical partners, next steps regarding the pre-clinical tests on animal models to be performed were discussed. Image of the meeting participants at the face to face meeting in the JUMISC, partner of NANBIOSIS.